What is special category or sensitive personal information? When do you have to give consent? How long will the council keep your information? Who we may share your information with? Maidstone Borough Council is committed to maintaining the privacy, security, trust and confidence of all our partners, clients and customers when you use our services. To the left of this webpage you’ll see a list of services we provide. Under each service is more information about who we may share your information with and why. We have a Data Protection Officer who makes sure we respect your rights and follow the law. If you have any concerns or questions about how we look after your personal information, please contact the Data Protection Officer, Angela Woodhouse, at dataprotectionofficer@maidstone.gov.uk or by calling 01622 602000 and asking to speak to the Data Protection Officer. Personal data is any information that can identify a living person. This includes information that, when put together with other information, can then identify a person e.g. a name, an identification number, location data, an online identifier or one or more factors relating to the physical, physiological, genetic, mental, economic, cultural or social identity of that natural person. In situations where we have no other legal basis to process your personal data you will have provided us with consent to use your personal information. In these circumstances you have the right to amend or withdraw your consent at any time. If you wish to exercise this right, please contact dataprotectionofficer@maidstone.gov.uk and tell us which service you’re using so we can deal with your request. A majority of the information the Council collects is provided by you as the data subject, however we may receive information about you from third parties, or collect it via CCTV. If information is provided by a third party, we are obliged to inform you within one month, with a privacy notice. 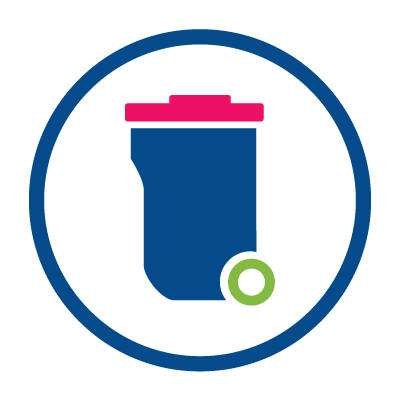 The Council only collects and uses personal information where it is needed to deliver a service or to meet a legal obligation and may only be shared for the same reasons. Personal information is only kept for as long as is necessary for those identified purposes. These legal obligations are covered in more detail in the individual service privacy notices available further down this page. The Council undertakes regular reviews of your personal data, assessing the purpose for holding it and deleting when information is no longer needed. Wherever information is needed solely for general or statistical purposes, or is kept for a longer period, we will ensure that all personal identifiers are removed so that it becomes anonymous and therefore no longer ‘personal information’. Your information will only be shared when we have a legal reason for doing so. We may share your information with organisations such as; Central Government, the police, registered housing providers, third party contractors, and other Public Authorities. Where other organisations process your information on our behalf, this is carried out under contract. Where it is necessary for us to share your information this will be done in a secure way which has been subjected to a privacy impact assessment (PIA). Rights in relation to automated decision making and profiling. If you believe we have made an automated decision about you have the right to ask us to review that decision. These rights are not absolute but are assessed on a case by case basis, applying relevant exemptions. Requests must be made by the person to whom the information relates or their authorised representative. You may be asked to provide information so that we can validate who you are and that someone isn’t trying to impersonate you. If you wish to authorise someone to act on your behalf – this could be another individual or an organisation, such as your legal representative or Citizens Advice, it is important that you make your wishes clear and provide a form of authority to them so that we know they are acting under your instruction. If you need to make a complaint about how your personal information is being used by the Council, please contact us and provide as much information as possible so that we can conduct an investigation. If you wish to appoint someone to act on your behalf – this could be another individual or an organisation, such as your legal representative or Citizens Advice, it is important that you make your wishes clear and provide a form of authority to them so that we know they are acting under your instruction. When we provide services, we want to make them easy, useful and reliable. Where services are delivered on the web, it sometimes involves placing small amounts of information on your computer, smart phone or tablet. These include cookies. They can't be used to identify you personally. You can find out more about these small files on the GOV.UK website. Cookies are pieces of data created when you visit a site, and contain a unique, anonymous number. They are stored in the cookie directory of your hard drive, and don't expire at the end of your session. They don't contain any personal information about you and can't be used to identify an individual user. If you choose not to accept the cookie, it won't affect your access to the majority of the services available on our website. During your visit you may notice some cookies that aren't related to our website. This happens when you visit pages with content embedded from a third party, for example YouTube videos, links to social networking sites, etc. These websites may place cookies on your computer. We don't control how third parties use their cookies. If you have concerns about how they use them, you should check their websites’ privacy policies. We have produced a number of service level privacy notices that cover Maidstone Borough Council services to comply with GDPR. You can find out more information and a list of services here.